If you’re looking for fantastic computer accessories at bargain prices, you’ve come to the right place. Clearance Corner is where ITC Sales passes on its useful extra items on to you, allowing you to stock up for a rainy day or make a quick replacement purchase. We have power cords that suit a wide range of laptops, computers and other devices – perfect for ensuring you’re prepared for any future issues, or quick to deal with one in the present. If they’re old, frayed and generally knackered, your power cords can not only be erratic, but very dangerous – risking electrocution and fires. Make sure that you’re not relying on unreliable cords, and purchase durable, dependable spare items from ITC Sales: you’ll thank us later. VGA-RCA are an excellent means to solve the evergowing problem of streaming on a TV. If you don’t own a smart TV or a casting device, you can plug your laptop or computer into your HD TV or projector, and watch, play or browse on the big screen. Not only do these fantastic cables come in a range of sizes and lengths, they provide clear, reliable visuals that you can enjoy with your friends and family. 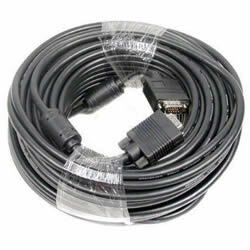 These cables are also very useful in offices, and for teachers. Though most computers include at least one parallel port, the purchase of additional ones allows you to customise and expand your set up even further. Whether you’re connecting a printer or any extra devices for work or play, an extra parallel port is a great means to let your device go further. A SATA (serial advanced technology attachment) cable goes one step further than a parallel port in allowing you to connect more advanced items to your device. Used particularly for transferring data from hard disc drives to the computer system, a SATA cable is a great choice for getting quick, reliable usage from external hard drives and other, more powerful supplementary devices. At ITC Sales, we’re proud partners of some of the world’s leading computer and technology brands, and sell the best in new, ex-demo, manufacturer refurbished and open box devices. We therefore like to think that we know a thing or two about our computer accessories – and how to pass on this knowledge, and our fantastic prices, onto the consumer.